The I Fountain Mini with Ball is unique water fountain combines elegance and abstract inspiration while providing function in a visually stunning way. As the water flows over the fountains surface, it creates a peaceful environment with the soothing sounds of flowing water. 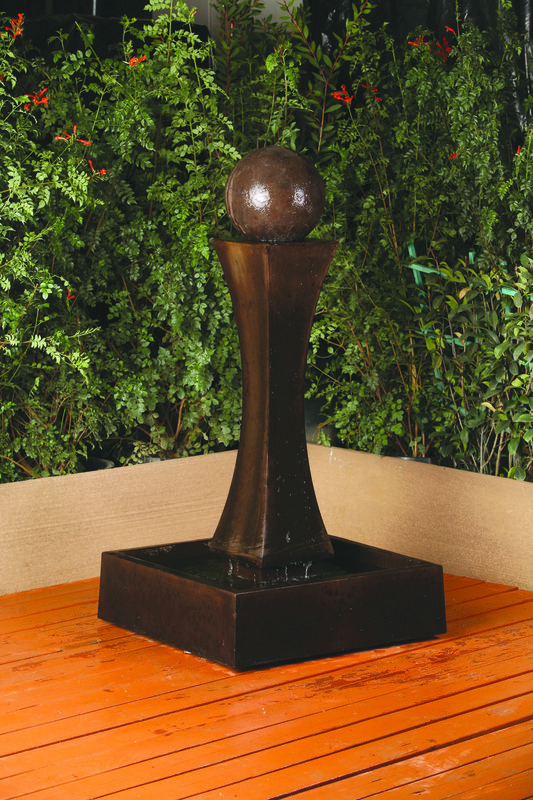 If space is an issue in your landscape design consider the I Fountain Mini and I Fountain Mini with Ball. L 32" W 32" H 59" | 336 lbs.